Conventional paints have been poisoning our environment for years. They used to contain lead (so be careful sanding old paint) and are now reducing the content of VOCs (Volatile Organic Compounds), but they’re still pretty nasty. We used natural, water based paints, that are also more breathable. The Internal Wall Insulation was completed with lime plaster, which took a couple of weeks to dry. 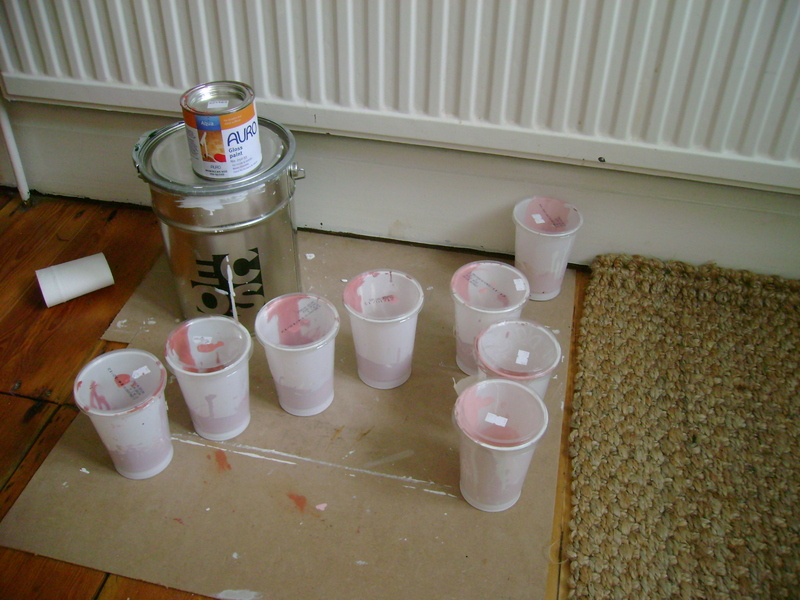 It was then given a quick coat of diluted Aglaia Natural Primer, before decorating with two coats of emulsion. This went on beautifully over the existing conventional paint on wall paper, and just one coat gave a solid colour finish. But note that some natural paints may struggle to bond directly to old vinyl paints. This was the only eco floor paint that I found. 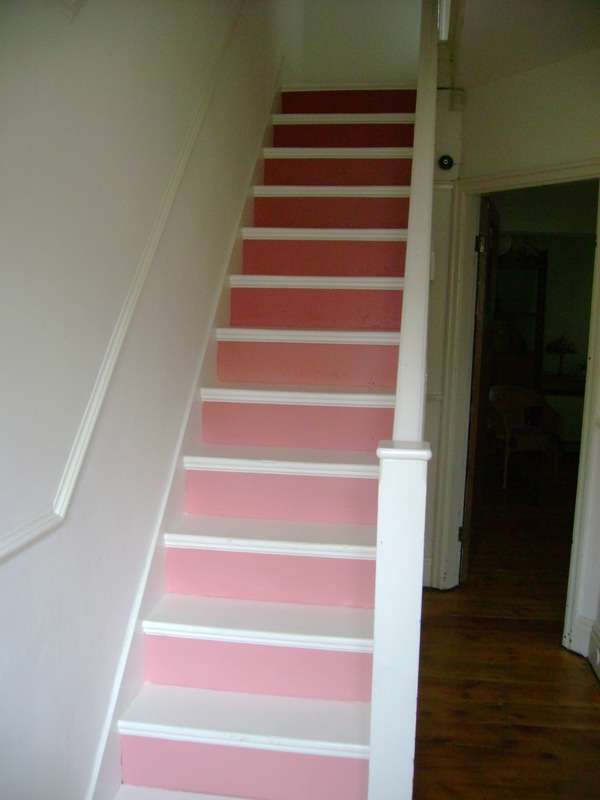 3 coats on the stairs & landing floorboards has given a hard wearing finish. If anyone knows how to calculate the carbon saving from this graduated colour scheme, be sure to let me know. I’d been saving yoghurt pots for a while for that job.